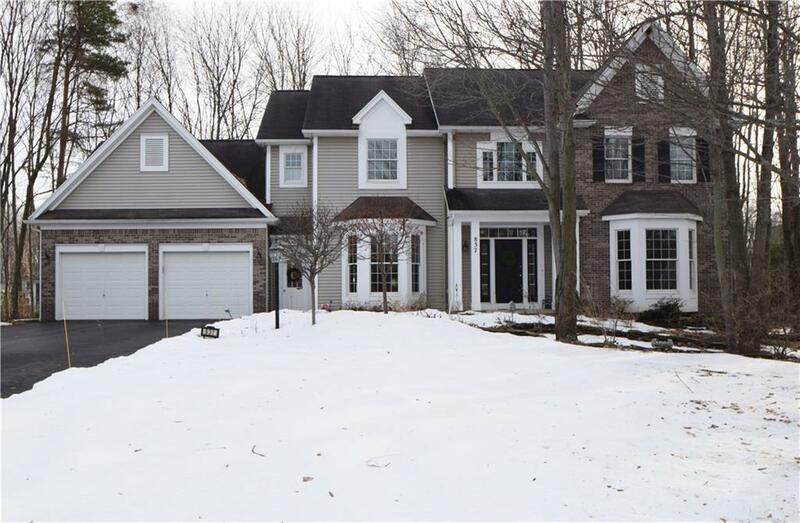 FABULOUS 4 BEDROOM, 4.5 BATH QUALITY BUILT BARONE CONTEMPORARY COLONIAL ON PRIVATE WOODED CUL-DE-SAC LOT! FEATURES 2 STORY FOYER! OPEN/SPACIOUS FLOOR PLAN! FIREPLACED FAMILY ROOM OPENS TO UPSCALE CUSTOM KITCHEN WITH AMPLE COUNTER WORKSPACE, WALK-IN PANTRY AND GENEROUS DINETTE/MORNING ROOM WITH WALLS OF GLASS & ACCESS TO PATIO! TWO FIRST FLOOR OFFICES/DENS! SPACIOUS MASTER SUITE WITH SPA BATH! âJACK AND JILLâ BATHROOM! GORGEOUS FINISHED BASEMENT W/ EXTRA Â½ BATH! STAIRS FROM GARAGE TO BASEMENT OFFERS EASY STORAGE ACCESS! POTENTIAL FOR 5 BEDROOMS AND AN EXTRA 260+ SQ FT IF BONUS ROOM OVER GARAGE IS FINISHED OFF. 9' CEILINGS! OVERSIZED WINDOWS! UPGRADES GALORE! NEUTRAL DÃCOR! MUST SEE! Directions To Property: Whiting Rd. To Shoemaker To Park Haven, Right Onto Bradington Circle.